It is always better to have the knowledge of fertilizer which the farmers are purchasing or the manufacturer is manufacturing. The farmer or manufacturer must know their product by getting the material analysed at a reputed fertilizer laboratory. Government of India /State government has its own fertilizer testing laboratories for quality check of the fertilizer at its own level, but being a purchaser the farmer or manufacturer must get their fertilizer sample analysed at a fertilizer laboratory for their own satisfaction. In this connection, we at Bio Organic Solutions are conducting fertilizer testing in our lab as per FCO (Fertilizer Control Order) parameters and its analysis by the methods prescribed in FCO. Fertilizer are the substances (whether organic / inorganic/ manures/biofertilizer ) used or intended to be used as a fertilizer of the soil or crop and must be specified in part A of Schedule I FCO (1985) and also includes mixtures of fertilizer , provisional fertilizers , customized fertilizer. The nutrients present in the fertilizer when added to soil improve the growth of plant and gives tolerance to the plant against pests. All the major and micro nutrients are helpful in overall development of the plants. It is always a good idea to know the analysis of the fertilizer you are purchasing or manufacturing. Regulatory specifications require manufacturers to be able to verify their claimed contents. 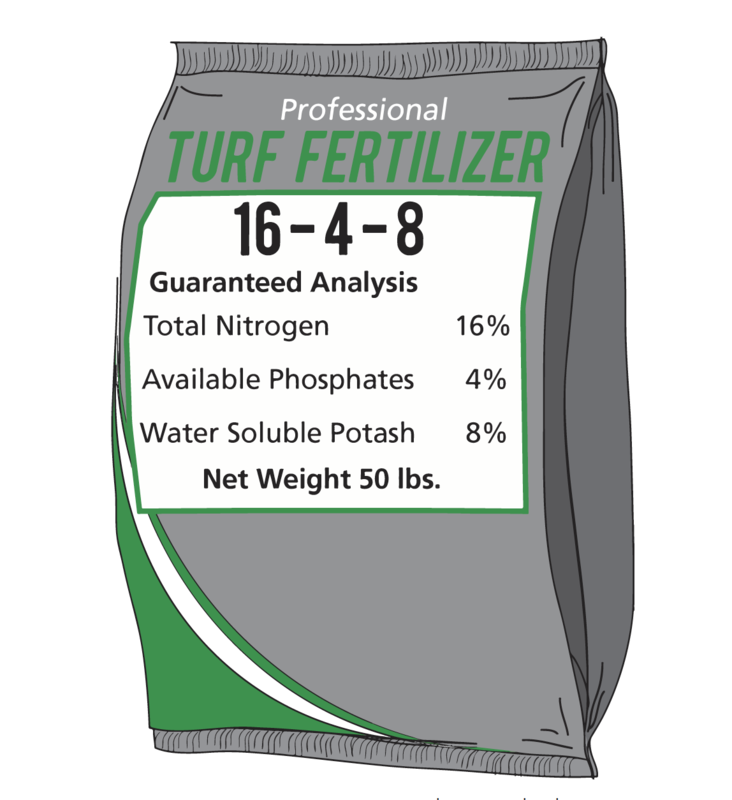 Be sure to protect yourself and your investment by having your fertilizer products analyzed. Fertilizers are substances containing chemical elements such as manure or mixture of nitrates that improves the growth of plants. They give nutrition to the crops. When added to soil or water, plants can develop tolerance against pests like weeds, insects and diseases. This means that the need for herbicides and insecticides are reduced producing healthier crops. Diseases can also be eliminated which gives aesthetic value to the harvest. Fertilizers do not only assist in increasing yield and promoting healthy growth of plants but also in their development. They contain nitrogen which acts as a growth booster which can be characterized by the green colour of plants. Phosphorus substance in fertilizers aids in faster formation of seeds and root development. Straight Nitrogenous Fertilizers: Ammonium Sulphate, Urea (46%N), Urea (45%N)Ammonium Chloride, Calcium Ammonium Nitrate (25%N), Calcium Ammonium Nitrate (26%N), Anhydrous Ammonia, Urea Super Granulated, Urea (Granular), Urea Ammonium Nitrate (32%N) Liquid, Neem Coated Urea, Urea Briquettes, Sulphur Coated Urea. Straight Phosphatic Fertilizers: Single Super Phosphate (16% P2O5 Powdered), Triple Superphosphate , Bone meal, Raw, Bone meal, Steamed, Rock Phosphate, Single Superphosphate (16% P2O5 Granulated), Superphosphoric Acid (70%) P2O5 (Liquid). Straight Potassic Fertilizers: Potassium Chloride (MOP), Potassium Sulphate, Potassium Schoenite, Potassium Chloride (MOP) ( Granular), Potash derived from Molasses. Straight Sulphur Fertilizers: Sulphur 90% (Powder), Sulphur 90% (Granular). NP Complex Fertilizers: Diammonium Phosphate (18-46-0), Ammonium Phosphate Sulphate ( 16-20-0), Ammonium Phosphate Sulphate ( 20-20-0), Ammonium Phosphate Sulphate Nitrate (20-20-0), Ammonium Phosphate Sulphate (18-9-0), Nitro Phosphate (20-20-0), Urea Ammonium Phospahte ( 28-28-0), Urea Ammonium Phosphate ( 24-24-0), Urea Ammonium Phosphate ( 20-20-0), Mono Ammonium Phosphate (11-52-0), Ammonium Nitrate Phosphate (23-23-0), Ammonium Poly-phosphate (10-34-0), Ammonium Phosphate ( 14-28-0), 13:33:0:15S, Diammonium Phosphate ( 16:44:0), Nitrophosphate ( 24-24-0). NPK Complex Fertilizers: Nitrophosphate with potash, N.P.K (10-26-26), N.P.K (12-32-16), N.P.K(22-22-11), N.P.K(14-35-14), N.P.K (17-17-17), N.P.K (14-28-14), N.P.K (19-19-19), N.P.K (20-10-10), N.P.K (15:15:15), N.P.K (15:15:15:9(S), N.P.K ( 12:11:18 with MgO), N.P.K. (16:16:16), N.P.K (9:25:25), Nitrophosphate with Potash (14-14-21), Nitrophosphate with Potash (21-06-13), Nitrophosphate with Potash Grade II (15-15-15), Nitrophosphate with Potash Grade (15-9-20). Micronutrient Fertilizers: Zinc Sulphate Heptahydrate, Manganese Sulphate, Borax for soil application, Copper sulphate, Ferrous Sulphate, Ammonium Molybdate, Chelated zinc as Zn-EDTA, Chelated Iron as Fe-EDTA, Zinc Sulphate Mono – hydrate, Magnesium Sulphate, Boric Acid, Disodium Octa Borate Tetrahydrate, Disodium Tetra Borate Penta Hydrate, Zinc Sulphate Monohydrate ( Granular), Zinc Oxide Suspension Concentrate, Di-Sodium Tetra Borate Penta Hydrate. Fortified Fertilizers: Boronated SSP , Zincated Urea, Zincated Phosphate (Suspension - for seed treatment, NPK Complex Fertilizer fortified with Boron(10:26:26:0.3), NPK Complex fertilizer Fortified wirh Boron (12:32:16:0.3), Diammonium Phosphate Fortified with Boron (18:46:0:0.3), NPK Complex Fortified with Zinc ( 10:26:26:0.5), NPK Complex Fortified with Zinc ( 12:32:16:0:0.5), Calcium Citrate with Boron, Nitrophosphate with Potash fortified with Boron (15:15:15:B 0.2), DAP Fortified with Zinc (18:46:0:0.5), SSP Fortified with Zinc, NPK Complex Fertilizer Fortified with Boron ( 24:24:0:0.2B), Boronated Single Super Phosphate ( Granular) ( 16% P2O5). 100% Water Soluble Complex Fertilizers: Potassium nitrate (13-0-45), Mono – Potasium Phosphate (0-52-34) (100 % water Soluble), Calcium Nitrate, NPK 13:40:13 (100% water soluble), NPK 18:18:18 (100% water soluble), NPK 13:5:26 (100% water soluble), NPK 6:12:36 (100% water soluble), NPK 20:20:20 (100% water soluble), Pottassium Magnesium Sulphate, NPK 19:19:19 (100% water soluble), Mono Ammonium Phosphate 12:61:0 (100% Water soluble), Urea Phosphate 17:44:0 (100% Water soluble), NPK 12:30:15 (100% Water soluble), NPK 12:32:14 (100% Water soluble), Urea Phosphates with SOP 18:18:18 (100% Water soluble), NPK Zn (7.6:23.5:7.6:3.5). Analysis of Biofertilizer viz. Rhizobium, Azobacter,Azospirillum etc. Organic Fertilizers viz. City compost, Vermi compost, Phosphate rich Organic Manures and Organic Manures.